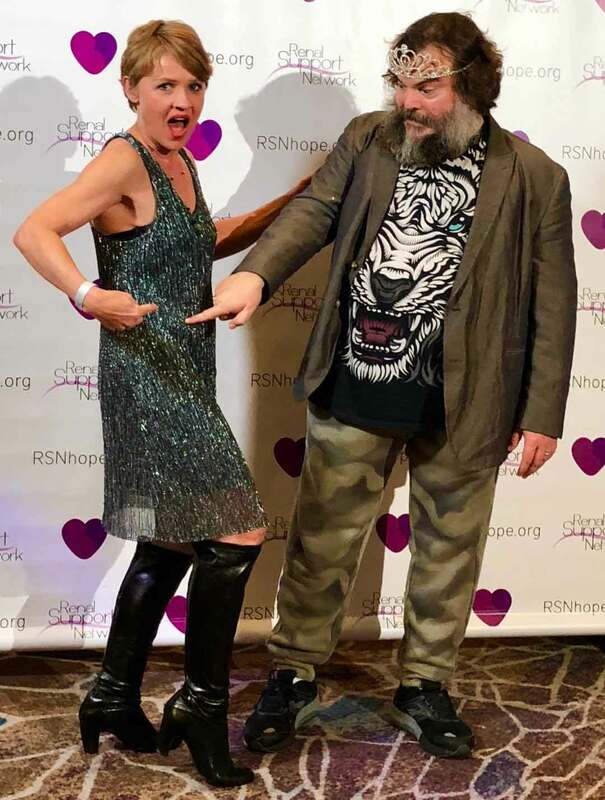 It was Sunday, January 20th, 2019, and I, a two-time kidney transplanted, 50-year-old woman, was alone at the prom. I was volunteering at the annual event hosted by the Renal Support Network. Its founder, Lori Hartwell, had been on dialysis as a teen, unable to attend her own prom. 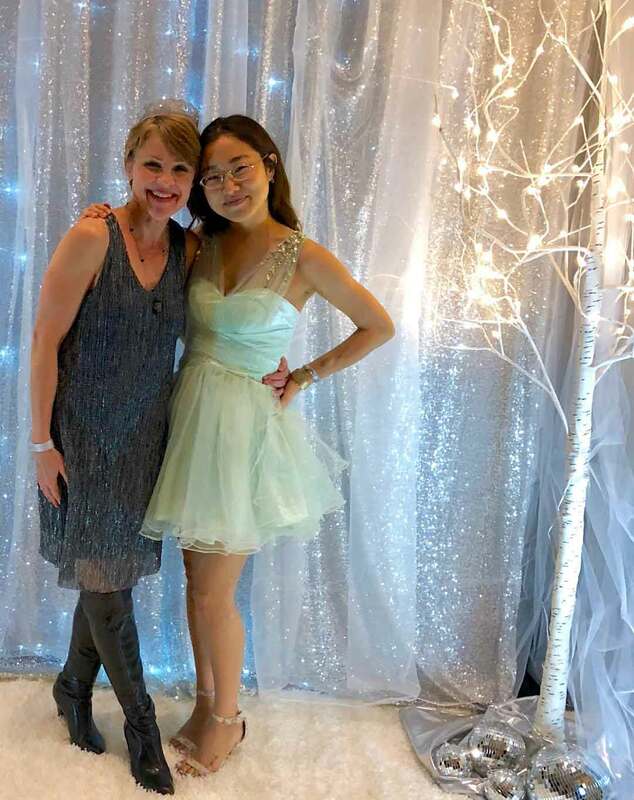 After four kidney transplants and 13 years of dialysis, her mission became clear – to host a prom for 14 to 24 year-olds with kidney disease. This year was Hartwell’s 20th event. The roof would be raised. In my sparkly dress, and IT’S-SO-FUN-TO-DRESS-UP! attitude, I drove 19 miles to pick up a 20-year-old transplanted woman (#13yearskidneystrong) and her boyfriend who otherwise would not have transportation. In the Glendale, California Hilton ballroom, they canoodled under giant disco balls and super-cool lighting effects as I tapped my leather-clad toe to music and nibbled on a slice of pineapple. Half volunteer, half third-wheel. All awkward. We look for each other. Like each other. Follow each other. Need each other. Jack Black, the American actor, was scheduled to serenade the crowd and take pictures, but he was running late. Absentmindedly, I nibbled on a chicken finger. Then it was time to pee. Trust me. In the world of kidney disease, this is news. “Hi,” I said, turning towards her, my hands under the tap. She turned towards me, washing hers. “Are you Hennybird?” she asked. “OMG!” We burst into giggles, excitedly rinsing the soap from our over-washed hands. Minds blown. It was my first cyber-sighting – the first time I recognized someone in real life whom I had met in cyber life. She was slight, ethereal in her frothy Tinkerbell-esque, pistachio-green gown. All she needed was a magic wand. All she had needed was a kidney. People might say the same about me: clear skin, red lips, big smile. The picture of health! Who would suspect I had two kidney transplants, undiagnosed nerve pain, undiagnosed swelling (that has my current wardrobe in lockdown), tinnitus, chronic migraines, and that I am five and a half-years clean and sober, and, oh, my eyesight’s really bad. But Cheyenne knew. She is my Peep. We leave trails of cyber breadcrumbs for each other. #immunosuppressed #invisibleillness We look for each other. Like each other. Follow each other. Need each other. My kidney-diseased friends and me: One of us just got a kidney. One of us is losing hers. One of us is on dialysis. And for a minute, this one wasn’t sure. It was a social media miracle. Three months earlier, my husband, Kevin, donator of my latest and greatest kidney (Sorry, Mum! ), planned a trip to New York City for my 50th birthday. The Met! Broadway! Central Park! I was so excited, until I sat down in the plane and opened my purse. Oh, crap. “Just wash your hands a lot. The air is filtered.” But I knew. As a mature (ahem!) kidney-transplant patient, if I fly without a mask I land with searched luggage and a cold. So, it was no surprise when on the morning of Friday, October 26th, as my hard-working husband knocked out three photo shoots in a Brooklyn studio, I was stuck in a tiny hotel room at 58th and 11th, moaning about my achy, breaky body. I unpacked, then rested. Prayed, rested. Cried, rested. Ate an apple, rested. Cried a little more, rested. Then I turned to social media. We get lost in the real world, among the healthy who just can’t relate. In a land where if we look good, people assume we feel good. Well, dang it, the tears just rolled down my cheeks. She wrote of how much easier it was to breathe. To swallow pills. Her joy of drinking water, tons of it for the first time in years. I could taste the crispness of her French fries as she raved about a second helping—verboten as a prisoner of renal failure. And she got to eat the chocolate pudding. Suddenly, my apple was the greatest thing I’d ever eaten. (It wasn’t really, but you follow, right?) Through my Peep’s eyes, my perspective changed. I remembered how getting sick when you fly is one of the prices of admission for being a medical miracle. In the same way, I can’t leave my recovery at home (#onedayatatime). I don’t get to leave my compromised health behind. It shows up wherever I go. And sometimes I have to look out at life through a hotel window, but it’s so much better than the alternative. I thought about everything ahead for Cheyenne. The Transplant Patient’s Deal: The side effects. The weakened immune system. Sickness lasting for weeks instead of days. The bitter irony of finally having a bloodstream cleansed of toxins, yet still needing to take toxic medications to tell your immune system to keep the kidney that will clean your bloodstream and flush said medications’ toxins away. I, a two-time transplant veteran, wished I could hug her. Hold her hand as she took her first steps into a bizarre new world where she’ll wonder if tap water is safe and how much sanitizer is enough. 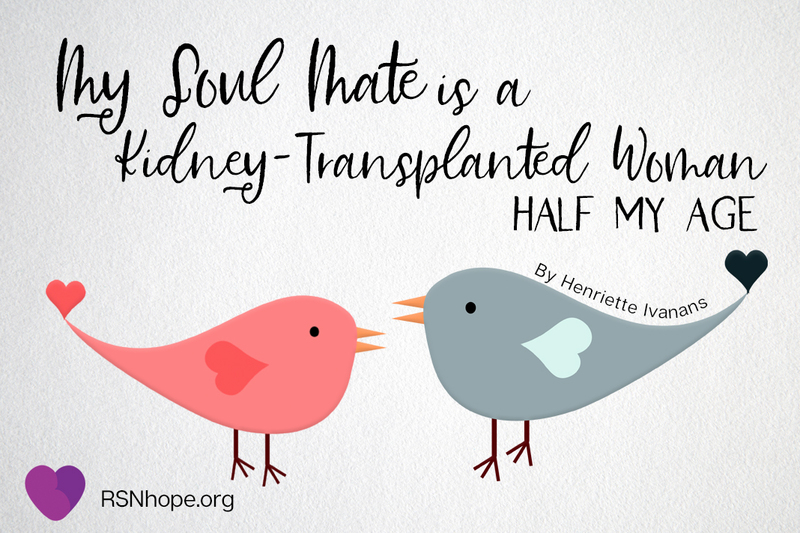 To tell her the first year is hard, but it’s so much better than the alternative – dialysis or death. On Sunday night, I did get to hug her, talk with her and share feelings I still have 31 years after my first kidney transplant. “You’re shaking. Have you had enough water?” I asked, as we hugged, snapping photos for, you guessed it, Instagram. We sat and talked like old friends. The 23-year-old transplant virgin, and the 50-year-old vet. We gabbed about Tacrolimus, food restrictions and dialysis. She asked me if I had been able to walk on dialysis. I told her not when I was 19. At 3 percent kidney function, walking had been a rare thing. Before my last transplant in 2011, walking had been possible, but not easy. We get lost in the real world, among the healthy who just can’t relate. In a land where if we look good, people assume we feel good. In a place where we wear makeup and sparkly dresses to feel alive, even if we spend the next day in bed. In a place where I knew Cheyenne was shaking either because she was dehydrated, experiencing a side effect from her medications or was excited to meet me, too. It’s easy to disappear inside invisible illness, when it feels like people see the picture but not the pain. It’s hard to reach out. Especially when your body no longer feels like your own. On paper, volunteering at the prom was supposed to be selfless, but it was the greatest gift. It reminded me that I am not alone. Under the gigantic disco ball, I felt at home, tapping my toe alongside patients at all stages of kidney disease (from dialysis through transplant). I could have birthed everyone there, but chronic illness defies age, gender and race. We danced together, united by our desire to live life to the fullest, no matter how compromised our bodies are. And in a ballroom full of Peeps, I found Cheyenne. That’s why I keep trying, searching through the Cyber world, and Real, for that place of shorthand. Of head-nodding. Of Peeps. 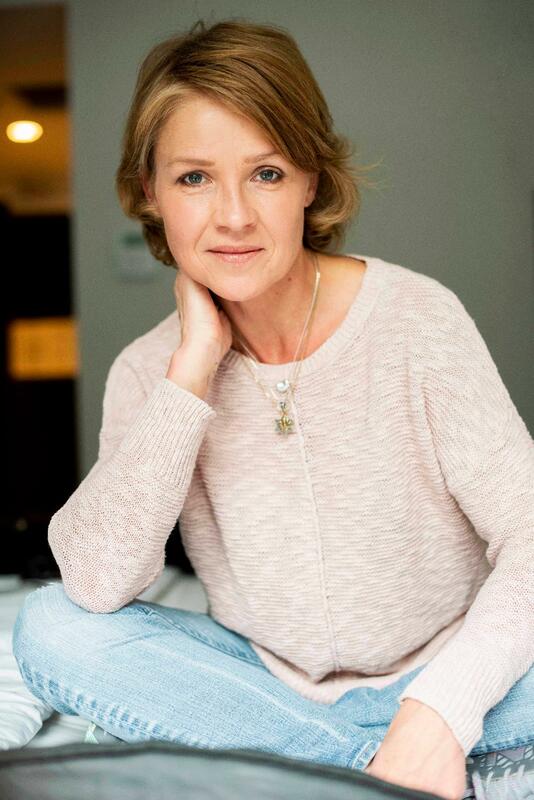 Henriette Ivanans won the Allegra Johnson Award in Memoir Writing through UCLA Writers’ Extension for her memoir “In Pillness and in Health.” It details a marriage barely surviving addiction during a kidney transplant, as the husband donates his kidney to his pharmaceutically-addicted wife. She plans to publish in 2019. Ivanans’ essay, “Alcohol May Intensify Effect” will be published in Issue 19 of Barrelhouse magazine coming out this month. She is currently working on her next memoir, “How 5 Hounds Healed a Hen” about the unconditional healing nature of dogs. Note: Kidney function percentages differ for each individual. Please check with your doctor to understand what your kidney function percentage means for you.